Founded in 1847 in Paris, France by Louis-François Cartier, the luxury goods company eventually developed an entire range of collections including high-end watches, jewelry, leather goods, fragrances and accessories. Cartier was extremely popular among the aristocracy and elite. In fact, the Prince of Wales, later King Edward VII of England, proclaimed Cartier "Jeweler of Kings and King of Jewelers." He even encouraged the establishment of Cartier London in 1902 under Cartier’s youngest son. Over the years, later generations of the Cartier family were unable to grow the business as their predecessors had, and the company reached a standstill. From 1847, the company remained in family hands. In 1972, a group of investors took over the Cartier company and installed Alain Perrin as its CEO. For several years the company had been foundering. Luckily, with Perrin’s leadership and experience as a former antiques dealer, the Cartier watch brand was brought back. During this time the famous “Le Must” line was developed. New versions of classics, including the "Santos," were also made. Cartier was again an innovative and fashionable luxury watchmaker. 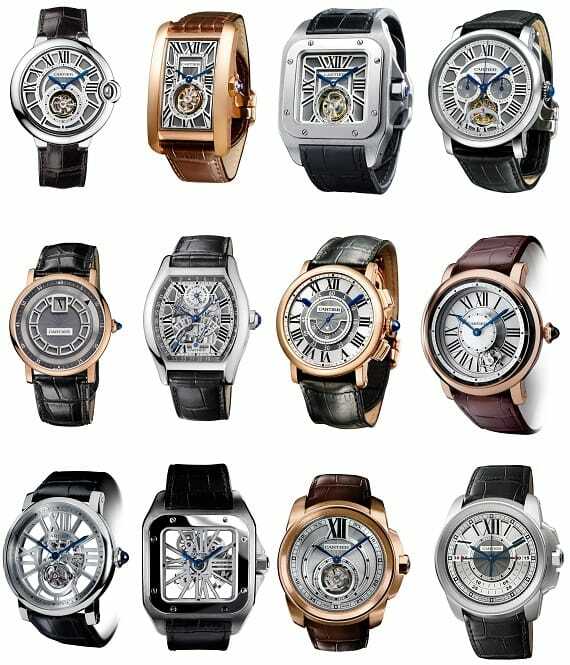 Today, Cartier continues to offer best-sellers like the classic "Tank" watch, the “Pasha” watch for ladies, and the “Panther” watch which can feature 18k gold, stainless steel or a mix. From the Tank to Pasha models, there is a Cartier watch for everyone, and at almost any price point.